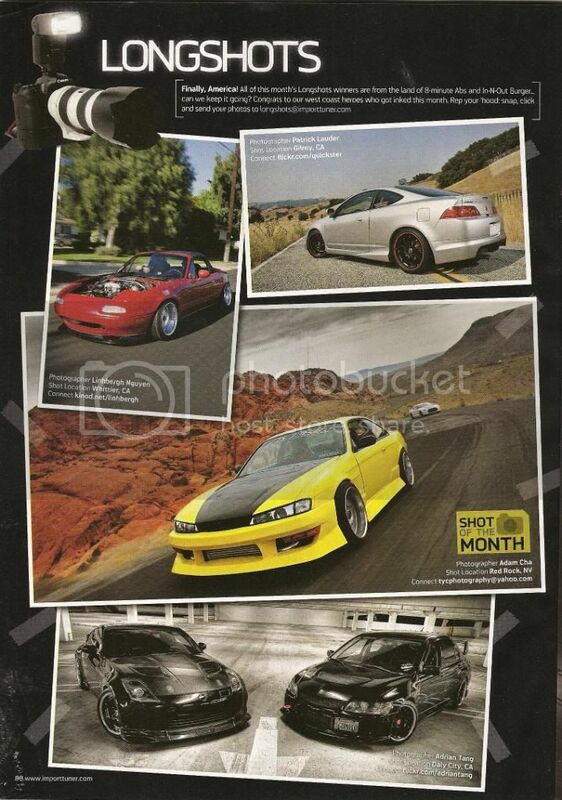 Congratulations to Adam Cha from TYC Photography who is also our official Team Hybrid photographer for being selected for "SHOT OF THE MONTH" in Import Tuner Magazine July 2009 Issue, pg 098. Shot location was in Red Rock, NV and the Nissan 240 belongs to Nick Irie from Las Vegas Hybrid Chapter. Keep up the good work Adam and as for Nick, he will soon have his very own full feature in Import Tuner. More to come as always......wait till you see what is coming out next weekend!